Located in Calgary Alberta Canada, our Theta Healing ® Calgary / Leanne Martell Wellness Theta Healing certification seminars are open to everyone, whether you are learning for your own personal interest and self development, would like to become a Theta Healing Practitioner for the first time, or are an existing Practitioner who wants to add Theta Healing® techniques to your existing toolkit. Each course is designed to increase your skills, learn new tools and techniques. All seminars are in-person only. These seminars are facilitated by Leanne Martell owner of LeanneMartellWellness.com, Certificate of Science & Master ThetaHealer ® and Instructor who is trained, tested, certified and re-certified (every 5 years) by ThetaHealing® founder Vianna Stibal ! This course is a prerequisite for nearly all other Theta Healing® courses. This course will transform and empower your life! You will discover the amazing potential within yourself as you become aware of the power of your thoughts, and how to instantly change them to create your reality. You will discover how to identify your limiting beliefs through muscle testing, then how to quickly and simply change them to positive and empowering ones. Instantly changing years of self-sabotage, bad habits and negative life patterns. This course will open your intuitive centres and chakras, as you connect to Divine Source Energy for readings and healings. We’ll guide you in deep theta meditation to silence your mind and access your subconscious mind. You’ll also discover how to connect to your guardian angels, do future readings, activate dormant parts of your DNA and learn to manifest using Source Energy. On this course you will discover more advanced and faster techniques to implement in your healings. You will go deeper into the theta brainwave, release resentments, rejections and regrets of your life. Which will bring more clarity and awareness. Take your journey to the next level of physical healing, emotional wellbeing and spiritual awakening. 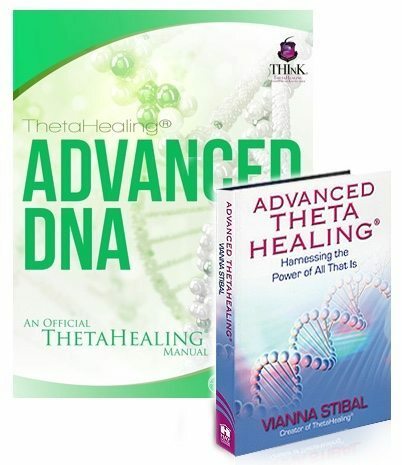 Certification: You will be certified as a Theta Healing® DNA Advanced Practitioner, allowing you to use these skills as a practitioner if you choose to. You will release many blocks to connecting to the creation energy that could be inhibiting your healing. You’ll have an in-depth understanding of the Seven Planes of Existence that surround us. Learn how to clear old resentments, vows, and commitments that hold you back. Learn some new powerful healings such as how to heal with the ‘Baby in the Womb’ and ‘Heal the Broken Soul’ exercises. You will receive Feelings ‘downloads’ that will bring profound healing and enlightenment. Learn how to apply Advanced Theta Healing® techniques on yourself and others. Whether you are new to ThetaHealing or a seasoned practitioner, the Dig Deeper seminar has something for you! This seminar lets you get familiar with the ThetaHealing technique again while sharpening your digging skills to the next level. Learn Vianna's 8 ways of digging and be confident that you have reached the bottom belief! You will have an opportunity to clear your fears about digging or finding the root belief or feeling within a client. How to hold the space for your client without getting involved in their drama or pain. You’ll be able to clear any self-sabotaging patterns that may be stopping you from reaching your full potential as a practitioner or healer. Certification: You will be certified as a Theta Healing® Game of Life Practitioner, allowing you to use these skills as a practitioner. Are you ready to create a successful and spiritual life? This course utilises the skills and tools you’ve learnt on the Basic and Advanced courses, to release the blocks to creating and manifesting the life and career you desire. Putting you into the drivers seat of your life. This 3 day course was developed by Hiroyuki Miyazaki, a highly successful business man and Theta Healer in Japan. Theta Healing is now the leading energy healing modality in Japan due to his efforts. Vianna Stibal’s business grew by 35% after taking this course. Hiroyuki Miyazaki (a.k.a. Hiro) is the representative of Japan ThetaHealing. In two years of his tenure, Japan ThetaHealing achieved 900% growth in the organization and increased public recognition through various advertisements, bringing ThetaHealing as one of the most popular healing modalities in Japan. Before ThetaHealing, Hiro worked in financial industry for 17 years, demonstrated his strength of managing large projects in multi-cultural environment. Back in those days, Hiro discovered that business performance is largely affected by people’s limiting beliefs, where he succeeded in achieving major performance increase through application of ThetaHealing. Hiro strongly believes that anyone can improve business performance by ThetaHealing technique. Certification: You will be certified as a Theta Healing® Manifesting Abundance Practitioner, allowing you to use these skills as a practitioner if you choose to. Every thought, action and your words is reflected by what we are creating in your life. Every decision is made upon the mirror reflection of what we choose to create. What we think and say have a direct bearing upon whether our manifestations are for our benefit or detriment. If you constantly say that you are broke, you will be. If you constantly say and think that you are financially abundant, you will be. Your words, thoughts and feelings are vital to the success of your positive manifestations. Clear blocks to attracting more clients to build your business faster and easier. If your stuck or feeling trapped in a job you don’t like, and can’t see a way out. This course may help you discover the perfect solution. If your living from paycheck to paycheck. Discover why you are in the habit of spending everything you earn, over spending or unable to save. Wishing for greater health and well-being, but somehow illness is keeping you safe. If you feel you are a slave to money and you’d rather have money work for you. If you have a great idea, but can’t get your project or business off the ground. You can clear blocks to asking for help, delegating or attracting funding. If you’ve tried to use the ‘Law of Attraction’ to attract money, love or a job without visible results, You’ll discover the missing ingredient. Do you find positive thinking hard work? It’s impossible to be happy and positive all the time. Especially when you are in the habit of negative thought patterns. Many of our thoughts are repeated in our minds, until they become a habitual way of thinking. Through Theta Healing we are able to clear the blocks to negative patterns. And therefore change our thinking. This course is nothing like the visualization courses and plain positive thinking courses out there. We use the time to intentionally help you discover limiting beliefs, blocks and other programs that are hidden in the subconscious mind and change them. We have over a hundred tried and tested belief systems to test yourself with and have pleasure in changing. We also make space for you to dig more deeply and pluck out root causes of any area that has caused you issues throughout your life. How effective is Theta Healing over other techniques? Just talking about your goals is 30-40% effective. Visualising your goals is only 50% effective. Manifesting in the Theta state 80-90% effective! The ThetaHealing® World Relations Course focuses on specific cultures and beliefs to trigger present and past issues with races, religions, and people. Once these belief issues come to light, the hidden hatreds and resentment that goes back through centuries will be released. When you make peace with the world, the world is at peace within you. The 5-day World Relations class is designed to enhance the ability of ThetaHealing® Teachers and Practitioners to work with people of all cultures and religions and from diverse backgrounds. The work you do in this class will help you become much more effective in all professional and business roles that you have; able to interact with your students, clients and business colleagues with ease. You will feel more comfortable travelling to places that your ancestors may have previously lived in or had issues with. And you will gain invaluable insights and wisdom relevant in today’s multi-cultural societies, enabling you to be more at ease socially and within your own families and relationships. free yourself from hidden prejudices and conflicts that may have unconsciously influenced your life experiences and your interactions with others – at work, socially, and in all areas of life. complete any unresolved issues that may be present for you from any countries that you have visited or lived in in this lifetime. For: adults wanting to expand and refine their intuitive abilities, children to discern the different energies of the Seven Planes of Existence. For Children: classes are grouped by age. Are you interested in increasing your psychic ability? Improving your intuition? Developing your ability to connect energetically - with other human beings, with animals, plants, and infinite intelligence that some call Divine, Creator or Universal Source? This 3 day intensive course is designed to teach adults to remember their psychic skills. Throughout the Rainbow Children course, students will start an adventure as they master how to unite to the 7th plane, discover a wide range of ThetaHealing techniques such as how to do empathic readings, guided meditations, drumming circles, crystal layouts and scrying, future and Guardian Angel readings. We are all born with this innate abilty. It is waiting to be developed and harnessed. It is your birthright. This seminar is 85% practical experience. "Vianna witnessed her own spontaneous, instant healing from cancer in her leg. After her leg was healed, she spent many years perfecting this simple yet effective technique that has changed the lives of thousands. Her love is felt throughout her Theta Healing ® classes. This class fulfills Vianna's vision of teaching the Rainbow Children. Our world is now blessed with Rainbow Children, Teens, Young Adults that are intuitively gifted individuals who are extremely loving, with memories of other times and places, who bring with them infinite love and patience. They are wise souls offering new wisdom and possessing the ability to change the world around them. They are sensitive, compassionate and aware of others’ feelings. Indigo Children ushered in a new age and can be influenced by negativity around them, but can now shift to Rainbow Children. Rainbow Children classes are designed for them, their parents, caregivers and teachers. This remarkable programme will validate and enhance their spiritual development in a safe and loving environment, so they can share their own special gifts with others. You will go on an adventure and learn how to connect to the Creator: then learn a wide range of Theta Healing ® techniques such as how to do the belief work and how to create positive feelings; empathic readings; healings of the body and the soul; guided meditations; future and guardian readings. Through the Seven Planes of Existence students will learn wonderful ways to communicate with angels and plants; how to heal with crystals; how to connect to power animals; drumming and totems, plus develop their telekinesis; and know how to change auras and heal animals." "Shows you how to work with animals specifically." Vianna has said that while writing her next book on the 7 Planes of Existence there was so much information about animals that she decided to create a new course dedicated to animals. ThetaHealing ® Animal Practitioner course is a prerequisite to the upcoming ThetaHealing ® DNA4 course. "Shows you how to work with plants specifically." Vianna has said that while writing her next book on the 7 Planes of Existence there was so much information about plants that she decided to create a new course dedicated to plants of the Second Plane of Existence. Duration: Leanne teaches it in 1 day (bonus content). Change your beliefs while learning a new exciting way to release weight and tap into your inner peace. This isn’t just a weight loss seminar! It is finding a real rhythm for your mind, body and spirit, while tapping into your inner beauty and love for your self through your own dreams and desires! This seminar teaches Vianna’s secrets to weight loss. THETAHEALING RHYTHM For Finding Your Perfect Weight! In the ThetaHealing® Planes of Existence Course you’ll learn how to master virtues and overcome your vices to raise your vibration to awaken to self-mastery. Channel ascended masters and leaders of the past to bring powerful lessons for your own life in the now. Experience attributes from animals through shape shifting in advanced crystal layouts. This course takes the ThetaHealing® Rainbow Children’s course and ThetaHealing® DNA 3 course to a whole new level of understanding to prepare you for enlightenment and ascension to master your reality. The Theta Healing® Planes of Existence is the wellspring of philosophy that is behind all the seminar and books of ThetaHealing®. By learning the structure of the Planes of Existence, Vianna was shown that it was possible to create new realities in this lifetime and why she was creating difficult situations in her life. The Planes of Existence Seminar is the quantum mechanics of metaphysics. In this seminar, we’ll take you into dimensions beyond this universe… to what she believes to be the beginnings of life itself. Take you on a journey that leads outward past the universe … to offer the conception that with a theta state of mind it is possible to go beyond the speed of light with the power of thought …to connect to a divine energy before it becomes anything in this universe. Principles of the Laws and how to apply them into everyday life. 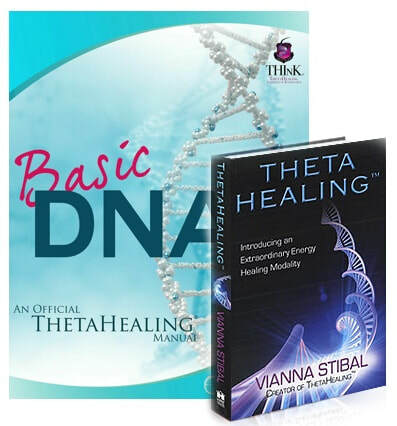 DNA 3 is the long awaited class for advanced ThetaHealing students. It teaches you the knowledge of how to work on non-organic and organic matter and the awareness that we can step out of our own paradigm and quickly get beneficial changes to health and wellbeing using the mitochondria of the DNA; whilst also mastering the knowing that everyone is creating their reality, and with the proper knowledge, can step out of it at will. Class processes include deep resentment and belief work to know thyself; intuitively lining up the Eternal Molecules; spiritual bi-location; understanding the energy fields of non-organic material and the power of our words to manifest our reality. Practitioners who have taken this class have really appreciated the immediate and very noticeable improvements in their intuitive abilities. Life can take on a new ease as you practice these unique teachings for yourself and your clients, and you’ll discover the true potential of your wonderful mind. This class offers an impressive expansion of our ThetaHealing skills and is highly recommended for Practitioners that wish to live in a continual 7th Plane knowingness and connection to the Creator of All That Is. This seminar is filled with lots of hands on exercises to learn about how to help shift our world around us. Learn how to create your own reality while releasing the blocks that are holding you back from creating that reality. This seminar is taught in 5 consecutive days. "The book ThetaHealing ® Diseases and Disorders was created for this class in 2007 with over 400 pages of insights from Vianna’s 47,000 Readings. On the first day, the student will receive the Diseases and Disorders book. Every day for two weeks, the instructor will work with the students on their blocks of working with different diseases. They also discusses the diseases they are familiar with, to give insights into the physical, mental and emotional components of illnesses. This class encompasses heavy metal poisoning, the body systems, over 100 diseases and disorders, covering herbs and minerals, this class is definitely for the alternative professional. disease from an intuitive perspective. have dramatic affects on the body’s well being, even on a cellular level. The statements in this website and the class or session are not intended to diagnose, treat, cure or prevent any disease. This information is given strictly for educational purposes. In no way should the information on this website be considered a substitute for competent medical care by your physician or other healthcare professional.